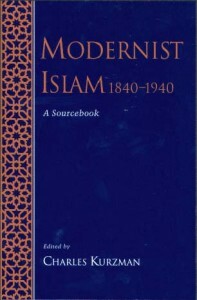 Modernist Islam, 1840-1940: A Source-Book, edited by Charles Kurzman (Oxford University Press, 2002). * represents a selection previously published in English. † represents a selection translated for this project. (Original) indicates that the original-language text is available in a PDF file. 37. Abdulhamid Sulayman Cholpan (Uzbekistan, 1893-1938), “Dokhtur Muhammadyor” (Dr. This page was last updated June 25, 2010.